Chances are most of us have caught glimpses of millionaires on the mountain - adorned in fur coats, flashing a pair of diamond googles or stepping into a limo - but do any of us really know how the other half (0.1 percent) live on the slopes? Or maybe you don't want to know - if so look away now. 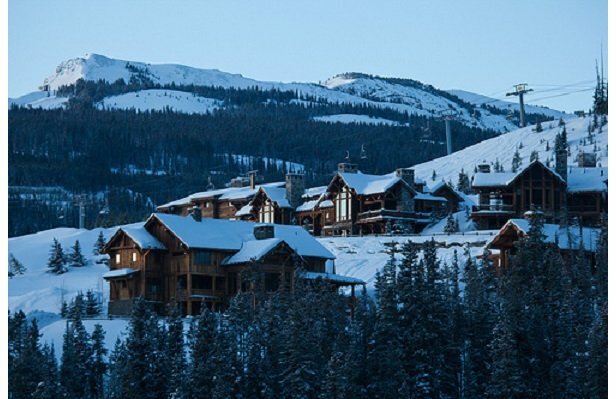 Here's a run-down of the top 10 most exclusive ski resorts in the world. SHHH! So exclusive you shouldn't really speak its name. Private old boy, nudge-nudge. At least it was until its bankruptcy was splashed all over the front pages in 2009. Until then this resort was so exclusive that even if you knew its members names (that's members of a private club that owns a mountain) you wouldn't know who they are. Bill gates was a notable exception. But for the most part, members were the bankers who owned the studios who employed the 'stars' who stayed in those other non-private resorts. The world's lone members-only ski resort is located 20 miles north of Yellowstone National Park. Arguably, the most exclusive ski resort in the world, offering something you can get anywhere else. You can be super-rich and super-safe all at the same time. It's the only place in the world where you can ski without bodyguards, said one of its members. That's not to say there aren't any there; resort security is handled by former US Secret Service Agents, the guys who protect the president. While most resorts have 'mountain huts' Yellowstone has 'Sugar Shacks', where you can tuck in to homemade sweet treats and gourmet coffee. Who to see: Barry Sternlicht, the hotelier, and Peter Chernin, president of News Corporation. Apres-ski: Take a private snow cat dinner excursion to Timberline Lodge or combine dinner with a spot of night skiing at Rainbow Lodge. Where to stay: Custom Residences boast stupendous views of nearby mountain peaks, others enjoy convenient ski access to YC's exclusive Private Powder - a phrase they've actually trade marked. 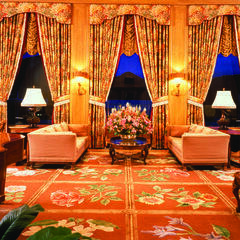 Private lodges at Yellowstone Club, Montana. Pronounced clawsters, this is where it all started, at least in public. William and Kate's first pucker-up for the paps was on the piste at Klosters, no doubt securing the resort's social standing for another century. A Rothschild has a home here. And, George I-can-feel-your-pain Osborne likes the odd £11,000-a-time visit. But fears abound that Prince Charles, the resort's most famous visitor, may not return. 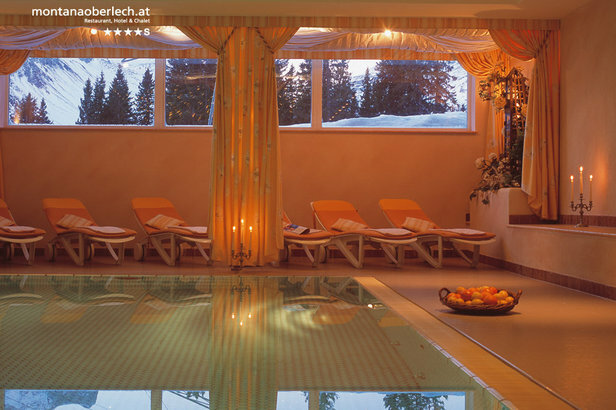 And the boys might yearn for the buzz of Courchevel over the calm chic of Klosters. Charles hasn't visited for a few seasons now. Glamour model Katie Price has. Apres-ski: The Casa Antica nightclub is famous for its discretion when it comes to royal custom - Princess Diana was a fan. They'll keep a personal bottle of vodka behind the bar especially for you till it's finished. The Chesa Bar in the Chesa Grischuna hotel is another favourite hangout of the Royal family. Where to stay: Reserve a suite at the Walserhof hotel, which is where Prince Charles stays (CHF 1,200 p/n). Deer Valley is so civilised, you're even offered a tissue while you wait to board the lifts. Utah's most exclusive ski resort offers perfectly manicured runs, free ski valets, heated sidewalks, fine dining and boutique shopping. Skiers in Deer Valley are shielded from even a hint of the overcrowding and inconvenience of so many less expensive resorts, by limiting the number of tickets sold per day. Bad news for snowboarders: you're not welcome. 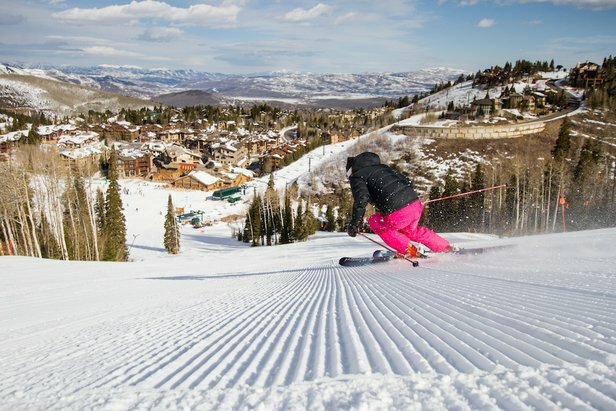 Each December, this super exclusive ski resort opens in style with the Celebrity SkiFest then in January the Sundance Film Festival (Robert Redford is founder) comes to Park City, which always draws the stars. Who to see: Dustin Hoffman, Jane Fonda, Bruce Springsteen and John Travolta. Apres-ski: Settle in by the fire with a cognac at the Troll Hatten Lounge at the Stein Ericksen Lodge. The property's namesake, the 80-something Norwegian Olympic medalist Stein Eriksen, can be spotted here most days. 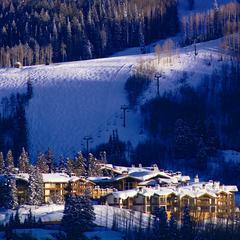 Where to stay: Located mid-mountain in Deer Valley, is the five-star Stein Eriksen Lodge. Book a luxury suite with gourmet kitchen, elegant living room, stone fireplace, master bedroom, and oversized jetted tubs for around $700 p/n. That's 1850! Not 1650. Not 1550. Certainly not 1350. So posh, Posh goes there. So possibly not so posh. If the wearing of mink pelts wasn't universally condemned, Courchevel would look like a trappers convention. Courchevel isn't posh in the you're-not-meant-to-be-here way that many on the list are. Mixed in with the mink (fake) is an easy mix of seasonnaires (servants), ski bums and holidaymakers. Prices are as steep as the runs but bargains can be had further down the hill at, h-hmm, 1350.
Who to see: Russians and The Ray-Ban set: Posh and Becks, F1 drivers and owners, pop people. Real aristos and royalty are rarer. Apres-ski: Take a long luncheon at the two-Michelin-star Airelles restaurant decorated with jewel-toned silk curtains, Hermès tableware, and Saint Louis chandeliers. After your day's skiing, head to Le Piggy's - the oh-so-chic wine and piano bar - in the centre of town where a pint will set you back €14. Then it's on to the Les Caves nightclub for a Jeroboam (3ltr) of Dom Perignon or if you are really thirsty a Nebuchadnezzar (15ltr) of Moët. Where to stay: So long as it's 1850, who cares? You'll find nine five-star hotels here. One of which is Le Kilimandjaro where individual chalets (sleeping 12) cost €11,300 p/n, but include a private butler who will warm your ski boots for you over night. Telluride is often compared to Aspen. The difference, according to the locals, is 'the attitude'. Aspen is a place to see and be seen while Telluride is a place where celebrities can put on their ski boots and blend in. Tom Cruise and Katie Holmes have a home there, as does Oprah. Mixed in with the slebs, you'll find artists, ski bums, musicians and execs all too cool to pay attention to the slebs - and that's why they like it. September is film festival time which means the celebrity count inevitably increases. This exclusive ski resort is also home to numerous musical festivals: blues, bluegrass, brews, jazz, film and arts - you name it. Who to see: Tom Cruise and Katie Holmes (separately of course), Oprah, Jerry Seinfeld and Dan Quayle. Apres-ski: Hang out in or around the Historic Bar at the New Sheridan Hotel. For a bite to eat, try the caribou carpaccio or pan-seared elk short loin at Allred's. 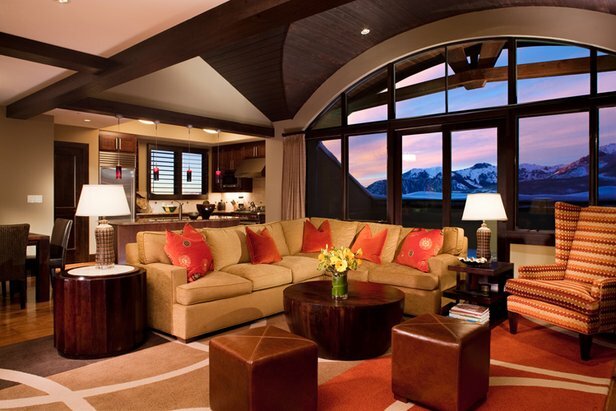 Where to stay: In a penthouse suite of the Lumiere Telluride from $1,150 p/n. Prearrange ski equipment fittings in your penthouse and, at the end of the day, simply drop you boots off at the ski valet, grab your slippers and head to the bar for a signature cocktail. A chef will come to your suite and prepare dinner while you watch the sunset from your private hot tub. Sun Valley was America's first luxury, purpose-built winter resort. 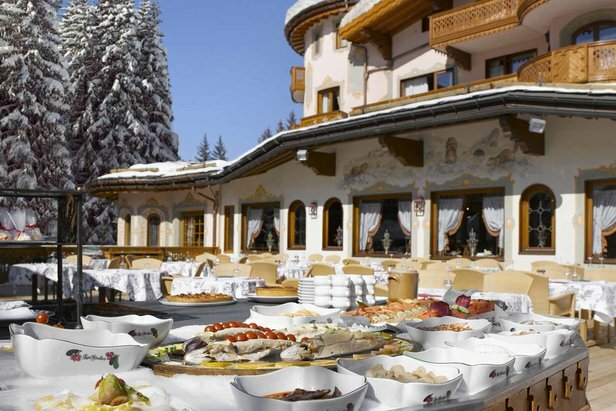 It is a seasonal home to the rich and famous who flock to the luxury lodges at the foot of the slopes. Along the walls of the Sun Valley Lodge you'll find photos of Clint Eastwood, Gary Cooper, Ernest Hemingway and a smattering of Kennedies. Until recently, Bruce Willis owned a mountain here - Soldier Mountain ski area just west of Hailey. Who to see: Bruce Willis, Arnold Schwarzenegger, Larry David, Demi Moore and Ashton Kutcher (not together). Apres-ski: Sun Valley has a rowdy apres scene, but for a more sophisticated evening you take a horse-drawn sleigh ride from Sun Valley Inn to the romantic Trail Creek Cabin for dinner. Where to stay: In the Sun Valley Resort's Dollar Cottage - a sprawling six-bed, six-bath home with a wood burning fireplace, a marble kitchen and hot tub on the deck overlooking the lake for $1,700 p/n. 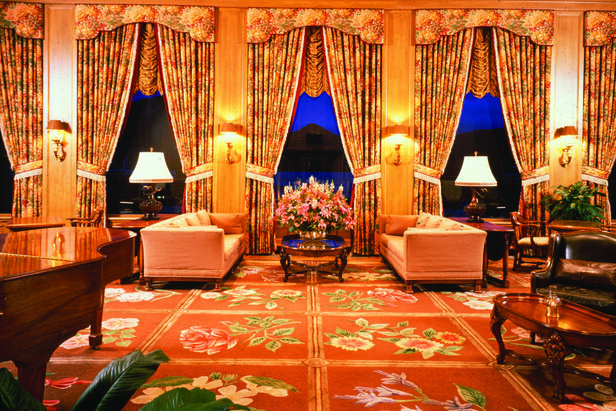 Sun Room at Sun Valley Lodge. Photo courtesy of Sun Valley Resort. Without doubt the poshest sounding of them all. St Moritzzzzz! Sounds so majestic and minty. It even boasts a "champagne climate" (dry air and sunshine to the rest of us). 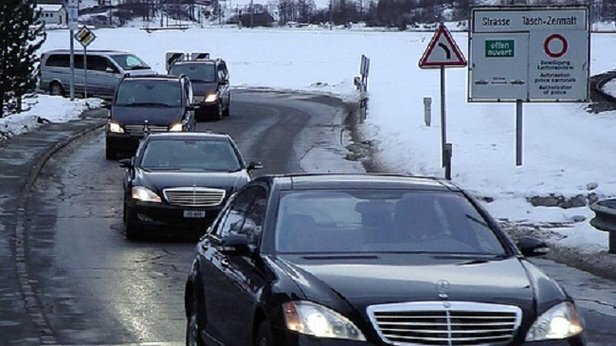 If you're rich, St. Moritz is the place to flaunt your thick furs and expensive cars. 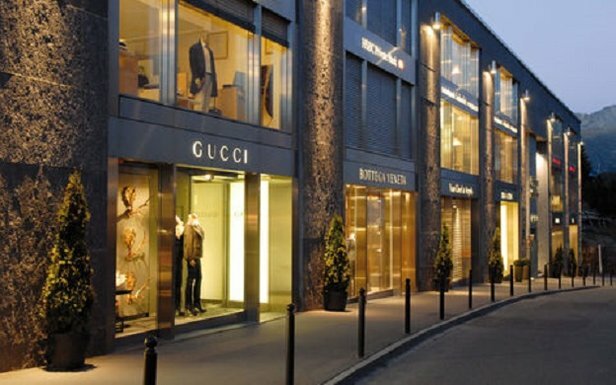 You'll also find plenty of high-end boutiques in which to buy yet more stuff. Rub shoulders with the creme de la creme at the Cartier Polo Tournament. 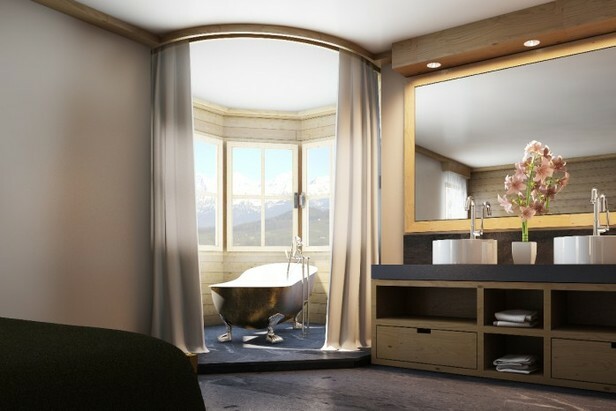 This exclusive ski resort is a favourite of Russian billionaires who fly their jets from Moscow to Samedan, then hop in a limo for the short drive (5km) to St. Moritz. Apres-ski: Take an after-dinner drink at the Altitude Bar in the Kulm Hotel with live piano music (gentlemen must wear jackets and ties) then double your millions at the Casino St. Moritz in the Kempinski Grand Hotel des Bains. Where to stay: In a CHF 2,120-per-night suite at the five-star Kulm Hotel on the lake. Beaver Creek oozers European chateau-style elegance and, like its better known neighbour, Aspen, it attracts the celebrities. Kelsey Grammer has a $6.1 million vacation home here. 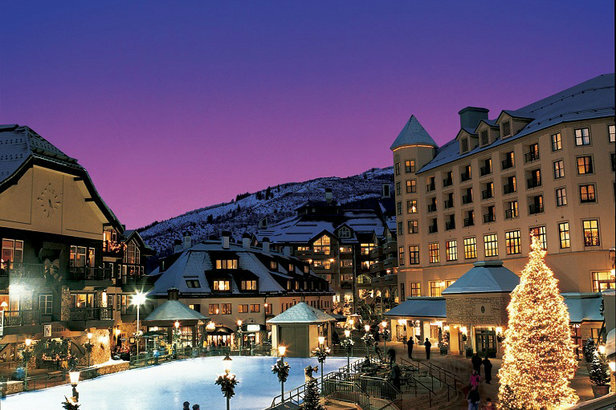 This exclusive ski resort is dotted with boutiques, art galleries and top-notch restaurants. There's also an idyllic ice skating rink in the centre of town. Accommodation largely consists of upscale hotels and condos, and prices reflect that. In the morning, there's no cold, hard trudge to the lifts in your ski boots, instead ride the covered escalator from the village direct to the slopes. 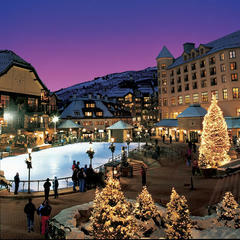 Apres-ski: Oysters and champagne at the Beaver Creek Chophouse is the only way to end an indulgant day on the slopes. 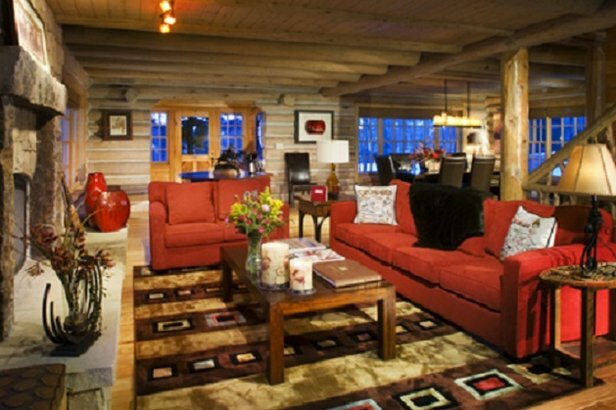 Where to stay: At the luxury mountaintop getaway of Trappers Cabin (four beds/four baths). Opt for the Premium Package ($599 pp/pn) and a private chef will come cook breakfast and dinner while your cabin keeper keeps you topped up in champagne. Austria's most exclusive ski resort, where the runs are never crowded as the wealthy clientele are all too busy knocking back the Bolly. Small, but perfectly formed, Zürs is really a collection of extremely expensive hotels. 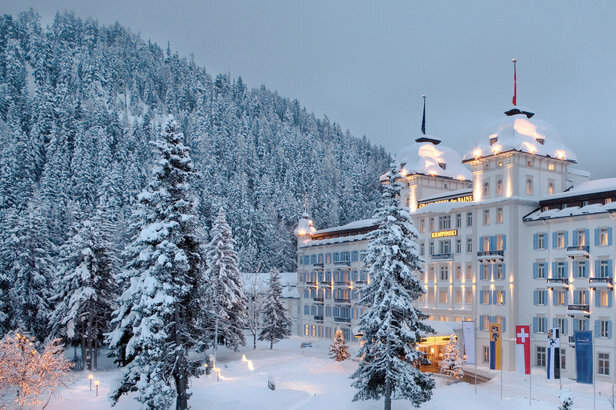 It is a favourite of royalty and movie stars, but doesn't have the ostentatious attitude of say St. Moritz or Courchevel. The neighbouring village of Lech was a favourite of Princess Diana and also featured in Bridget Jones: The Edge of Reason. Who to see: Princess Caroline of Monaco and Queen Beatrix of The Netherlands. Apres-ski: The nightlife here is pretty low-key. Everyone is staying in a lavish hotel so they don't feel the need to venture out much. Enjoy evening drinks in Hotel Montana's piano bar and dine on roast sucking pig or veal at Hotel Zürserhof (jackets mandatory). Where to stay: Five-star Hotel Zürserhof is up there with the world's most luxurious mountain refuges. The best room(s) in the house is the Royal Suite (two-bed, two-bath) with an open fireplace, sauna/steam cabin and your own personal butler (€3,200 p/n). Madonna, Nicole Kidman and Robbie Williams have all skied here, but the truth is you're more likely to find yourself sharing a ski lift with Phil Collins or Mike Hucknall. That said, fans of fine dining are spoilt for choice: Zermatt has the highest density of gourmet restaurants in the world. You can even hire a guide to take you on a gourmet ski tour of the mountains. Sample sweetbreads with morel cream sauce at Zum See and risotto with white truffle shavings at Chez Vrony. Arrange a private helicopter or limousine pick-up from Geneva, Zurich or Milan airports. Who to see: Phil Collins and 'the dark-haired one from ABBA' lives there apparently. Apres-ski: Dine at the stylish Cervo Restaurant - typical dishes include succulent venison, home-made ravioli with ricotta, and côte de boeuf. The coolest place to hang-out is The Vernissage - a cinema, bar, restaurant and gallery all rolled into one. Start the evening with here with cocktails; music goes on until 4 a.m.
Where to stay: The Chalet Zermatt Peak is a private catered residence costing more than CHF 200,000 for two weeks in high season, and is the most expensive in the Zermatt high-price segment. Highlights include a walk-in wine cellar, three HD cinema areas and a wellness centre. French footballer Thierry Henry wrote in their guest book: "The best chalet I have ever stayed in and I cannot wait to come back." Alternatively, the stylish boutique Hotel Cervo is also top notch.